Posted on October 18, 2013 by bestteacherblog Posted in Elementary, Online Resources	. It’s hard to find time to look for new websites for elementary teachers when you factor in worrying about thirty kids (or more!) … Not to mention having to learn about the Common Core Standards, attend staff meetings, grade papers, and everything else that goes into being a teacher. After all, you can only be pulled in so many directions at once, right? Now, you don’t have to skim the results of millions of Google searches to find a handful of useable internet resources—I’ve already got 101 of the very best! A kid-friendly magazine full of interesting current stories about technology, science, society, art, culture, and world news. FunBrain has over 100 fun, interactive games that develop skills in math, reading and literacy. Plus, kids can read a variety of popular books and comics on the site, including Diary of a Wimpy Kid, Amelia Writes Again, and Brewster Rocket. This awesome website is home to TONS of freebies for teachers, by teachers. These freebies include grade-appropriate worksheets, activities, crafts and more! Click here to check out my freebie on TeachersPayTeachers. This website is a favorite of mine because the free site offers tons of printables including worksheets, clip art and classroom decorations. Have your elementary students practice their math, science and language arts skills with games and interactive activities from FueltheBrain! This website allows your students to review English vocabulary and grammar at varying levels of difficulty. For each correct answer, the website will donate one grain of rice. Have your students play Free Rice when they finish early and keep track of how much rice your students have contributed to combat hunger. Mr. Nussbaum is a website with tons of interactive games and activities for math, language arts, history, geography, science and more. Free games for learning how to use money, tell time, count and read. Also, you’ll find mazes, memory games, puzzles, Sudoku and more! A trove of free teaching resources from the U.S. Department of Education. Find high-quality materials for the language arts, science, math, history and more! KidsClick! is a web search site designed for kids by librarians — with kid-friendly results! 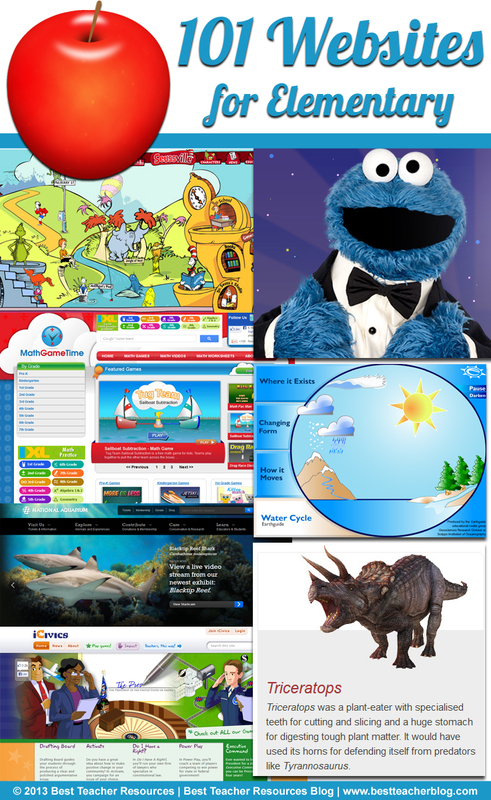 Over 1,000 educational activities, games, animated lessons, printable worksheets, interactive storybooks and more. Find websites you and your students can trust in this directory that has been compiled by librarians. With millions of YouTube videos, there’s bound to be something that’s relatable to your lesson. There are step-by-step tutorials, news clips, editorials, short documentaries and more. Recently, YouTube launched an education-specific version of the website called YouTube for Teachers. TeacherTube is exactly what it sounds like—YouTube for teachers (not to be confused with the Youtube-specific version above!). The design of the website is getting a little outdated (it’s reminiscent of past versions of YouTube), but there are many educational videos to choose from. At e-Learning for Kids, you can search through educational games by grade level or subject. There are materials for grades 1-6 in math, science and language arts. The education section of Appolicious is a listing of thousands of educational applications with descriptions and reviews. It’s a great place to go if you’re looking for something new, or just to check something out before you buy it. Use IMDb, the internet movie database, to see if there are any movies that are relevant to the topic you’re teaching. If you find one, you can also check the rating to make sure it’s appropriate for your classroom, and read reviews to see what others have thought (and to see if it’s historically or scientifically accurate!). A colleague got me hooked on using Pinterest! There’s no end to the great elementary teaching resources you can find on there. Educators from all over the world have created boards that are PACKED full of great stuff. If you want to check out what I’ve found on Pinterest, follow me. This social network is kind of like Pinterest for people who want to learn about different things. Users create and share collections of knowledge. It is still in its beta phase and requires an invite to get full access, but it’s very cool already! The “education” topic is full of great posts about using tech in the classroom, industry trends and shared resources. This website is great place to go for a daily warm up because it gets your kids thinking with fun and interesting questions like “Why is the grass wet in the morning?”, “Where is the tallest lighthouse?”, “How much does the sky weigh?”, and more! 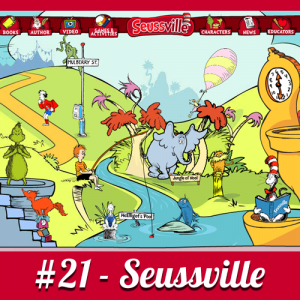 Because everyone loves Dr. Seuss… This website is full of interactive whiteboard-friendly games, activities, printables and ideas for lesson plans focusing on the subjects made interesting and accessible (and discussible!) by Dr. Suess’ stories. Sesame Street has a variety of activities that help students work on basic skills like counting, forming sentences, recognizing different shapes and objects, etc. TheColor is home to hundreds of free online coloring pages that don’t even have to be printed. Everything is interactive and done online! Your pages can be saved to your gallery and shared with your students’ families. This is a great activity for students who finish early. FunFonix (it’s the pronunciation that counts!) has a variety of early elementary phonics worksheets and online phonics games. Their worksheets are completely customizable! Sadlier Phonics has a number of grade-appropriate online games and activities for students PreK-6. 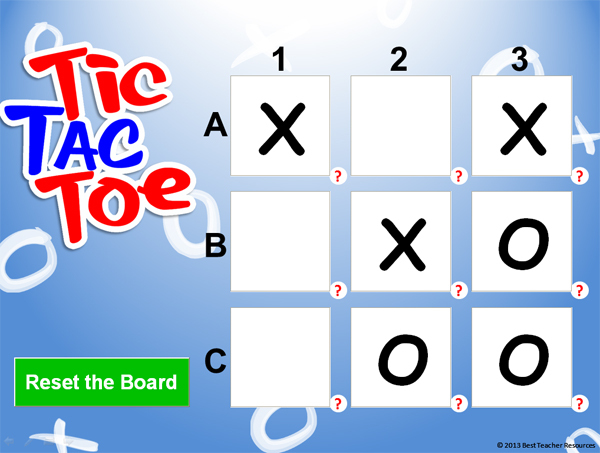 An entertaining interactive game for early elementary students who are learning how to match their upper and lowercase letters. This website is a free resource for young students to practice letters and sounds! Its phonics-based approach is perfect for PreK, kindergarten, first grade and second grade. This fun game helps your students learn the different parts of speech! There are three levels of difficulty that can be assigned to your students. Use these printable graphic organizers with your elementary students on a variety of reading comprehension activities. They are great for literary elements, reading assessment, reading comprehension, curriculum development and more. ReadWriteThink is a comprehensive collection of classroom resources for teachers. It includes searchable lesson plans, student interactives, activities and printouts. With this collection, students can explore elements of books and stories; develop characters’ create poems, comic strips, newspapers, flyers and more. Practice spelling with free interactive spelling games that are compatible with interactive whiteboards, mobile phones and tablet PCs. This game plays just like a real spelling bee. Students hear the word and get one chance to spell it. They can have the word repeated and can also read a definition. If you love Shel Silverstein and his poetry, you need to check this out. There are two versions of the website—the high-bandwidth version is more glitzy, but they both have the same basic content. There are fun games and activities, printables and you can even watch animated videos of some of Shel’s poems. The coolest thing about the videos is that some of them are performed by Mr. Silverstein himself! This website is a fantastic resource for ESL teachers and students alike. It has an extensive collection of spelling games and activities that are great for non-native speakers. My favorite is the Catch the Spelling Game. Forvo is the world’s largest pronunciation dictionary. It’s very valuable for ESL students because they can look up any word and hear it pronounced by an authentic English speaker. This awesome website lets your students read and review free electronic books online! The books are suitable for grades 4-12. Storybird is a website that allows you to combine pictures and drawings to tell a story. It is very user-friendly and you can have several students all working together on the same story. This automatic generator comes up with over two billion (no joke!) creative ideas for writers. It was named to Writer’s Digest Magazine’s list of 101 Best Websites for Writers in 2012. When your students need inspiration, this site is the place to go. It features more than 300 detailed creative writing prompts, as well as journal ideas. 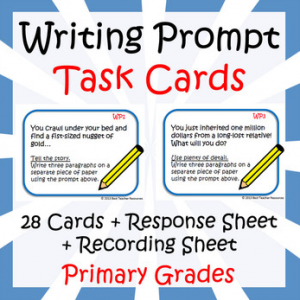 You can also use the writing prompts as great warm-up activities each day. Inklewriter is a free tool that allows your students to write and publish interactive stories. It’s perfect for teachers and students looking to mix computer skills and creative writing. Free collection of online math games for grades K-8 organized by the common core standards. The Fractions portion of the AAA Math website is particularly useful because it provides visual representations and easy-to-understand instructions. You can choose from a selection of topics like basic fractions, adding fractions, comparing fractions, converting fractions, reducing fractions, etc. These basic flashcards will give your students the repetition they need to master the very important skill of counting money. Math-Play has online math games that are organized by grade level, content and game type. You’ll find resources for addition, subtraction, multiplication, integers, fractions and more. Math Game Time has interactive math games, videos and worksheets that are separated by grade level. 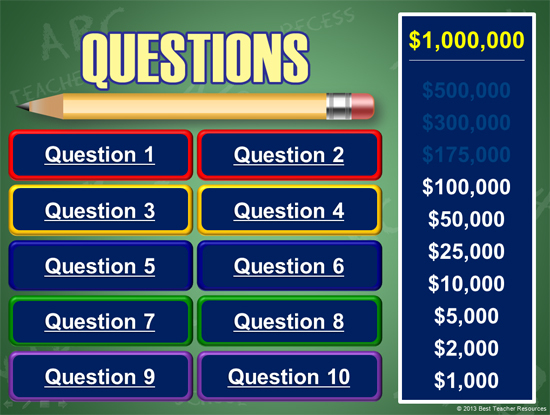 Your students will be able to practice everything from counting to decimals. This free website looks like it may have been designed in the early 90’s, but it’s got tons of great content for addition, subtraction, times tables, long division, fractions, decimals and more. Project one of the free online calculators on your interactive whiteboard. As the name suggests, Calcoolate is a neat online calculator. What is the largest ocean carnivore? How big is the world’s largest tarantula? Just how cold does the Antarctic actually get? Learn all about the extreme animals and places around the world. The U.S. Geological Survey website provides students with information about earthquakes. They can learn about the latest quakes, watch animations, get ideas for science fairs or play earthquake-related puzzles and games. The interactive Earthguide Water Cycle Diagram provides a visual representation of the different parts of the water cycle, including precipitation, runoff, infiltration, evaporation, evapotranspiration, freezing and more. The University of California Berkeley’s plate tectonics animations demonstrate how the plates work, and the site includes information on the theories behind the motion, as information on the history of plate tectonics and animations of how plate tectonics shaped the world in the past! The ultimate resource for breathtaking photos and videos of the world’s endangered species. Each entry also includes a description of the species (or region) and information about its range, habitat, biology, threats, conservation and more. Watch preview videos for some of Animal Planet’s renowned programming on the Earth’s natural resources, wildlife and more. Use the Infrared Zoo Gallery to “see” the difference between warm-blooded and cold-blooded animals. It also allows you to study how well feathers, fur and blubber insulate different animals. Very cool! Take a 360-degree tour of the National Aquarium, located in Baltimore. The official website has tons of resources on the marine animals that are showcased in their habitats. Use eNature’s Endangered and Threatened Species search engine to enter your zip code and learn about highly-threatened animals near you. There are also animal-related games, quizzes and other freebies available. Learn about endangered and already-extinct species from around the world at Bagheera. Classroom activities and resources are also available for additional learning opportunities. The website version of PBS’ Life of Birds is a great resource for learning about Earth’s most adaptable creatures. An interactive guide to all systems of the human body including the digestive system, immune system, muscular system, respiratory system, skeletal system and more. This super-cool website lets you pick two planets in our solar system and visually compare them. It’s great for a unit on space! The official website of the Exploratorium, the museum of science, art and human perception in San Francisco. It includes materials and activities for a variety of subjects, from astronomy and space to the human body. Learn about the rainforest and what students can do to help protect it. Rainforest Heroes also has a section for teaching ideas that include creative writing, spelling, reading, science, math and more, all relating to the topic of the rainforest or rainforest conservation. Give your students a different view of the world, literally! B-EYE shows your students what the world looks like through the eyes of a bee. You can zoom in and out to truly experience the effect of compound eyes on one’s vision. Coral Reef Alliance’s photobank is a great resource if you’re doing a unit or center on marine ecosystems like coral reefs. View 3D models of five well-known dinosaurs, and learn about the origins of their names, how large they were, what they ate and when and where they lived. Electronic fact sheets, including photos, protection status, and info on how students can help, for over 50 endangered species. A searchable directory of easy and fun science experiments and science fair ideas. Let your students create their own animals by assembling different animal parts. Have them imagine a habitat for their new animal, describe how it survives, what it eats and its relationship with other animals. Play eight interactive science-based games including Monster Bugs, The Great Habitat Match, Space Chase, and more! There are also quizzes and printable coloring pages, as well as science experiments students can do in the classroom or at home. LHS Kids (“Welcome to Twenty Four Seven Science!”) is home to interactive whiteboard-friendly science games and ideas for great supplemental science activities. A great resource for a unit on garbage, the “Three Rs”, or protecting the environment. This website does a great job of explaining what happens to the items we discard throughout our life and solutions for doing a better job at preserving our planet. Blabberize is a fun Web 2.0 tool that allows you to upload a picture (of a person—think historical figures – depending on one’s sense of humor, it might be a good idea to make sure the images students have access to are pre-screened to exclude any teachers or other officials on the premises! ), select its mouth, and make it talk by adding an audio file. Mission U.S. is home to two free, interactive, immersive U.S. history games. One focuses on the American Revolution, the other focuses on a slave’s quest for freedom, and both bring history to life around the student, giving events of the past an immediate and highly personal appeal. Type in a phrase and see what it looks like when it’s translated to Egyptian Hieroglyphics. This is a cool activity to do if you’re covering Ancient Egypt. Playing History aggregates all of the free history games on the web into a simple, searchable database. If the era you’re teaching hasn’t been mentioned elsewhere on this list, use Playing History to see if anyone has yet to bring it to life in online-game form! Free lesson plans and interactive games for learning civics. Some of the topics covered by materials at iCivics include citizenship and participation, separation of powers, branches of government and budgeting. Free printable maps of the world’s countries. Each map is a blank outline, the better for quizzing students on cities, counties, and terrain! Free, printable one-page maps, printable large-format maps and an online interactive student map. Search for pre-made, media-rich timelines or make your own using MP3 audio clips, YouTube videos and more. Another website that makes it easy to create and share timelines that include pictures and videos. All you need is a valid email address to create interactive timelines that can be shared anywhere on the web! With Dipity, you can find, create and embed interactive, customizable timelines. Create your own sharable timeline with images, video, audio, Microsoft Word, Microsoft Excel, Microsoft PowerPoint and PDF files. Detailed information about each of the 50 states including abbreviations and capital cities. Excellent for teaching U.S. geography! A resource for students and educators with history activities, plus short videos on all major U.S. history topics. A comprehensive look at Black History that includes biographies (go figure), videos, photos, a timeline, study guides and more. Scholastic’s interactive Underground Railroad activity provides an in-depth and honest look at what life was like for slaves. It’s got audio, slideshows, videos, teacher’s guides and more. 89. The Seattle Times: Martin Luther King Jr.
An invaluable resource to teach the incredible story of Martin Luther King Jr. This website includes a biography, timeline, seven teaching exercises, a photo gallery, a quiz and more. Another resource for printable maps, this time including historical outlines, as well! Teaching your students about the Electoral College? Using the Electoral College Calculator is a great activity to show how winning certain states can put a candidate on an easy path to the White House. Yes, it’s spelled “Plimoth”! Trust me, I double-, triple- and quadruple-checked! This fun, award-winning activity has students role-play as history detectives who investigate what actually happened at the first Thanksgiving. Prezi is a really neat cloud-based presentation program that allows you to zoom in and out. If you don’t mind your slides being public, you can sign up for a free account with 100MB of storage. Online-stopwatch is a web-based stopwatch that is easy to display on an interactive whiteboard and can count up or down. Use it for timed exams, writing assignments and standardized tests. RubiStar is a free tool to help teachers create quality rubrics. Registered users can save and edit rubrics online. You can access them from home, school or on the road. Puzzlemaker is a tool that helps you create and print customized word searches, criss-cross puzzles, hidden message puzzles and more, all using your own word lists. Tagxedo is an awesome word cloud creation tool. You can turn customized text, websites, blogs, Twitter accounts and more into stunning designs based on the frequency of words found in the medium. There are numerous designs and color schemes to choose from, and the results can be saved to your computer or shared. Create beautiful word clouds from text that you provide. Like Tagxedo, it gives prominence to words that appear most frequently. You can save, print and share your creation. Use Animoto to easily create presentations and videos with your own images and music, or choose from a library of stock files. Teachers can apply for a free Animoto Plus account. Use Bubbl.us to create colorful online mind maps. It’s great for class discussions and brainstorming sessions. Vimeo is kind of like YouTube in that it is a place for you to easily upload any kind of video you create—even high definition. A free account gives you access to 500MB worth of storage each week that you can use for a variety of things like customizing your website or blog. Whew! You made it to the end of 101 Websites for Elementary Teachers. Thanks for reading! As always, please share this with your friends and colleagues by using the share bar on the left-hand side of your screen. Also, don’t forget to sign up for my free newsletter! Posted on October 7, 2013 by bestteacherblog Posted in Elementary, My Products, Teachers Pay Teachers	. 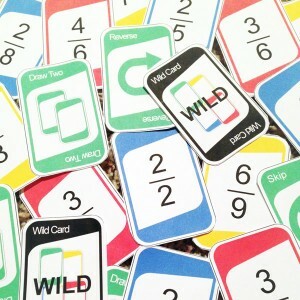 Continuing with my popular “UNO” style game cards, I created a few sight words games this past week. I now have the Dolch word sets for PreK, Kindergarten and first grade available at my store on Teacher’s Pay Teachers. 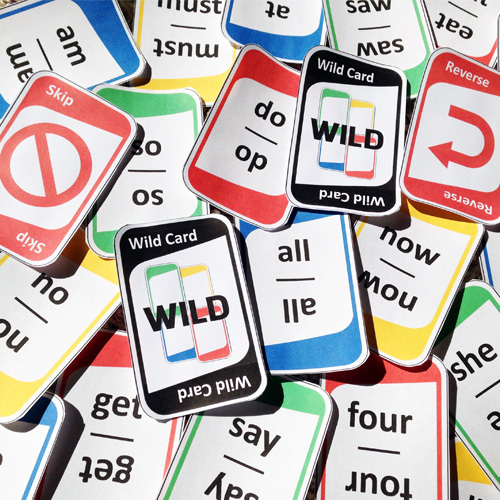 These card sets are great for students who need to practice their sight words! 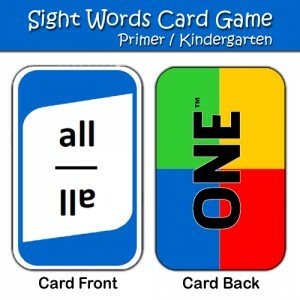 As a student plays a card, they must say the sight word that’s on the card. 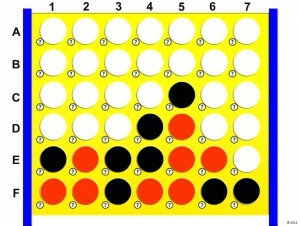 All the rules are the same except that players change suit by laying down a card with the same sight word instead of numbers 1-9. The green “run” card is the face-up card. As a player, I may play a card with the same sight word (i.e. another “run” card) or a card with the same color (green). Of course, like UNO™, I can also play one of the special cards like “Skip”, “Reverse”, “Draw Two”, “Draw Four” and “Wild”. After all, the special cards are what make the game fun, right? Click here to check out the PreK (pre-primer) set. Click here to check out the Kindergarten (primer) set. Click here to check out the first grade set. I suggest printing the cards on white cardstock (front & back) and then laminating. That way, the cards won’t be see-through and you’ll be able to use them over and over again! Learn about new online resources, TpT tips, products and more! Thanks for checking out my blog! I hope you come back and visit!